JT Thompson has a diverse practice: medical malpractice, product liability and media law. JT represents clients in several industries involving a broad array of cases. He regularly defends doctors in medical malpractice matters and manufacturers in product liability cases. He has tried many cases to defense verdicts in both areas of practice. Super Lawyers, a Thomson Reuters publication, tagged JT as an "Alabama Rising Star" for Personal Injury Defense: Medical Malpractice in 2010 and 2012. 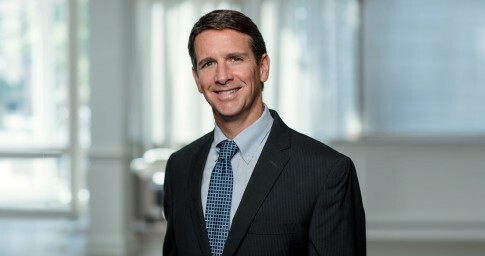 JT also represents companies in general business litigation and serves as trusted counsel to media companies in First Amendment and defamation cases. In working with his media clients, JT draws on his previous experience as an assistant editor in CNN’s Denver bureau, particularly his time covering the Timothy McVeigh Oklahoma City bombing trial. His prior professional experience as a journalist gives JT a unique perspective and understanding of the media industry, which enables him to more effectively represent media outlets. In 2019, The Best Lawyers in America© recognized JT as a leading First Amendment lawyer. Whether his client is a physician, manufacturer or newspaper, JT’s goal in every case is to help the client identify and achieve the desired outcome – whether an early resolution at mediation, a summary judgment or a defense verdict – as efficiently as possible. That requires dedication and focus at every step of the case. From the first assessment of the case, through the discovery process, motion practice and going to trial, JT strives to serve his client’s best interest. To achieve the best possible results, JT dedicates himself to working his hardest on every case for every client. He takes inspiration from a quote from coaching legend, Paul “Bear” Bryant, that JT keeps taped inside his desk drawer: “It’s not the will to win that matters — everyone has that. It’s the will to prepare to win that matters.” Having grown up an Alabama football fan in a family of successful, hard-working attorneys, JT is motivated by that quote every day. It reminds him what it takes to be a good attorney: hard work, dedication, taking pride in what you do and, above all, serving the client. Above all of his accomplishments at work, JT takes the greatest pride in his family. His wife Garner is a successful real estate agent, and, together, they are the proud parents of two children. Securing a summary judgment for a helmet manufacturer in a product liability wrongful death case brought in a challenging Alabama venue. Winning the court-ordered production of thousands of sensitive records on behalf of a large regional media organization in an open records dispute. Securing a summary judgment, affirmed by the Alabama Supreme Court, for a doctor in a contentious defamation case. Securing a defense verdict in Tennessee for an industrial generator manufacturer in a premises liability case.